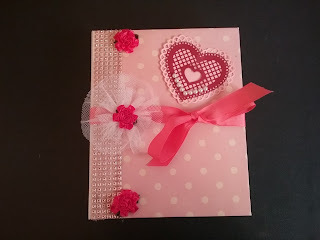 In this 3-project tutorial, I show you how to create a scrapbook mini album with fold-out waterfalls and pockets, a guestbook, and a greeting/card money holder. Make your next special event extra special by coordinating these three pieces. 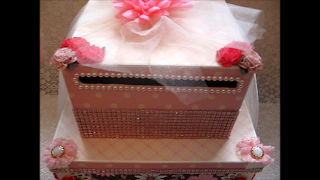 Perfect for a wedding, anniversary, special birthday or any celebration in need of that special touch. 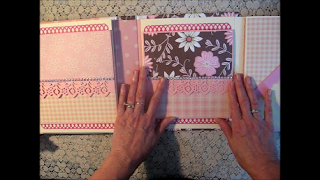 The scrapbook mini album is a fold out folio style album that measures 7-1/4"w by 9"h with a 1-3/4" thick spine and holds a total of 10 pages. There are 4 waterfalls so there's plenty of space for photos, and six pocket pages for storing more photos, tags and memorabilia. 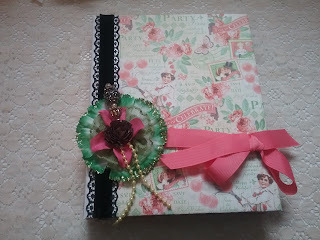 The guestbook measures 9"w by 6"h and is bound together with ribbon. It can double as a journal or a mini album. The greeting card/money holder measures 11-1/4"w by 11-1/4"w and 11-1/4" high and is made to resemble an elaborate two-tier cake. There is a slot at the top to insert cards that drop down into the bottom of the box. The tutorial is in PDF format and contains 54 pages of extremely detailed step-by-step instructions with over 200 photos that show how I created each project from start to finish. 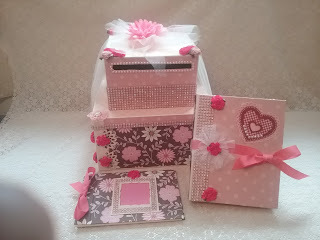 Everything is made from scratch: the construction of the album and guestbook (covers, binding and pages), as well as the two-tier greeting card/money holder box and lid. Measurements are included for each piece you will need to cut. 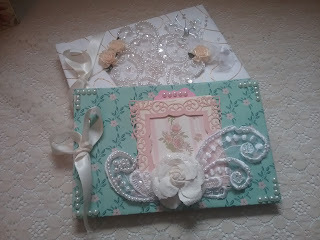 I also show how I embellished each item in my coordinating set. In addition to the written tutorial, I'm including free links to my series of unlisted ONLINE VIDEOS where I'm actually creating each item and explaining as I go along. The videos follow the same order as the written instructions so it's easy to follow along. 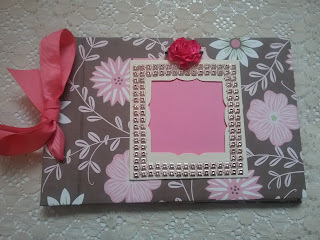 Below is a video that shows the scrapbook mini album, the guestbook and the greeting card/money holder in this tutorial. If you would like to teach classes on how to make this 3-piece set, a “Classroom Licence” is available for $29.99. You can teach as many classes as you wish. Note: Students each need to purchase a tutorial. Student tutorials can be purchased at a special price if ordered and paid for by the purchaser of the Classroom Licence. Contact me at scrappinrabbit@gmail.com if interested.